It’s such a fulfilling moment when you realise that an actor you admire is also a great singer. 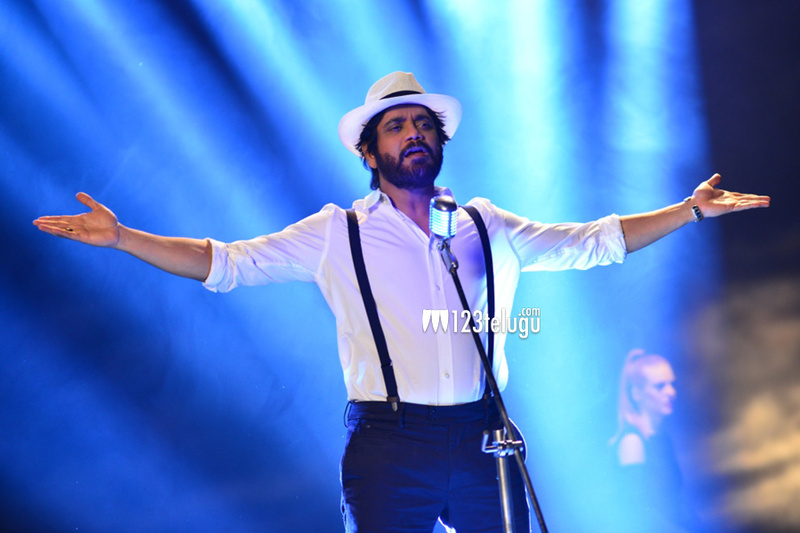 And, King Nagarjuna after winning the hearts of billions with his acting charisma, for the first time revealed his love for singing after crooning a love song titled “Kotha Kotha Bhasha, Kotha Prema Bhasha” in his own voice for the movie Nirmala Convent. According to Roshan Salur, music Director of Nirmala Convent, “this craving of King Nag didn’t surprise me at all, he was at his best rendering the beautiful love song“. Asked what kindled his inner desire to sing, “King Nagarjuna said I just got hooked to this beautiful love song sung by Master A R Ameen, s/o A R Rahman, and I decided that this is the song I should croon in my own voice. I loved the way it shaped out. I hope my fans and music enthusiasts will love this beautiful heart warming New Age Love song”. This 2 minute 30 second beautiful soulful song is composed by Roshan Salur, sung by Nagarjuna is worth a rewind many times, the trailer of this song was released in theaters on Friday 22nd July, along with Kabali. The Music video of this song will be released to electronic and digital media on 24th July. Nirmal Convent is directed by G.Naga Koteshwara Rao produced by Akkineni Nagarjuna under Annapurna Studios along with his friend Nimmagada Prasad.